Project management to support the project, the relationships with project partners, and with the funders. 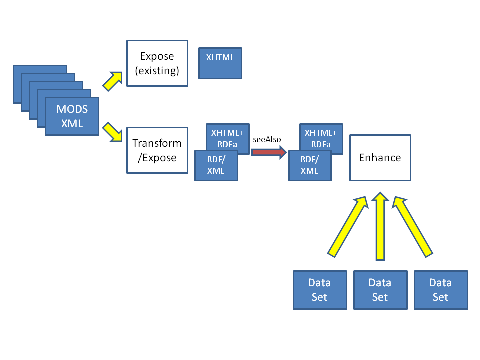 Transform RDF modelled to RDF XML. Report on opportunities and barriers using the project blog outlining methods and recommendations on how to overcome, mediate or mitigate against issues identified wherever possible. Adrian Stevenson will project manage LOCAH to ensure that the workplan is carried out to the timetable, and that effective dissemination and evaluation mechanisms are implemented according to the JISC Project Management guidelines. Consortium agreements in line with JISC guidelines will be established for the project partners. UKOLN will lead on all the workpackages. Staff who will work on LOCAH are already in post. Adrian Stevenson is a project manager and researcher at UKOLN. He has managed the highly successful SWORD project since May 2008 and also manages the JISC Information Environment Technical Review project. He has extensive experience of the implementation of interoperability standards, and has a long-standing interest in Linked Data. Adrian will manage LOCAH, and will be involved in the data modelling work, testing and the opportunities and barriers reporting. Jane Stevenson is the Archives Hub Coordinator at Mimas. In this role, she manages the day-to- day running of the Archives Hub service. She is a registered archivist with substantial experience of cataloguing, implementation of data standards, dissemination and online service provision. She has expertise in the use of Encoded Archival Description for archives, and will be involved in the data modelling work, mapping EAD to RDF, testing as well as the opportunities and barriers reporting. Pete Johnston is a Technical Researcher at Eduserv. 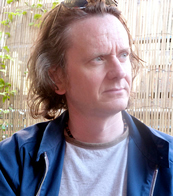 His work has been primarily in the areas of metadata/resource description, with a particular interest in the use of Semantic Web technologies and the Linked Data approach. He participates in a number of standards development activities, and is an active contributor to the work of the Dublin Core Metadata Initiative. He was also a co-editor of the Open Archives Initiative Object Reuse and Exchange (OAI ORE) specifications. Pete joined Eduserv in May 2006 from UKOLN, University of Bath, where he advised the UK education and cultural heritage communities on strategies for the effective exchange and reuse of information. Pete will be involved in the data modelling work, mapping EAD and MODS to RDF, software testing and the opportunities and barriers report. Bethan Ruddock is involved in content development activity for both the Archives Hub and Copac. She is currently working on a year-long project to help expand the coverage of the Archives Hub through the refinement of our automated data import routines. Bethan also undertakes a range of outreach and promotional activities, collaborating with Lisa on a number of publications. Bethan will be involved in the modelling work of transforming MODS to RDF. Julian Cheal is a software developer at UKOLN. 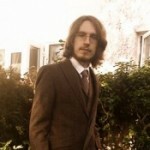 He is currently working on the analysis and visualisation of UK open access repository metadata from the RepUK project. He has experience of writing software to process metadata at UKOLN, and has previous development experience at Aberystwyth University. 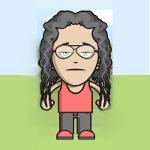 Julian will be mainly involved in developing the prototype and visualisations. Ashley Sanders is the Senior Developer for Copac, and has been working with the service since his inception. He is currently leading the technical work involved in the Copac Re-Engineering project, which involves a complete overhaul of the service. Ashley will be involved in the development work of transforming MODS to RDF. Shirley Cousins is a Coordinator for the Copac service. Shirley will be involved in the work of transforming MODS to RDF. An additional Mimas developer will provide the development work for transforming the Archives Hub EAD data to RDF. This person will be allocated from existing Mimas staff in post. Talis are our technology partner on the project, kindly providing us with access to store our data in the Talis Store. Leigh Dodds is our main contact at the company. Talis is a privately owned UK company that is amongst the first organisations to be applying leading edge Semantic Web technologies to the creation of real-world solutions. Talis has significant expertise in semantic web and Linked Data technologies, and the Talis Platform has been used by a variety of organisations including the BBC and UK Government as part of data.gov.uk. OCLC are also partnering us, mainly to help out with VIAF. Our contacts at OCLC are John MacColl, Ralph LeVan and Thom Hickey. OCLC is a worldwide library cooperative, owned, governed and sustained by members since 1967. Its public purpose is to work with its members to improve access to the information held in libraries around the globe, and find ways to reduce costs for libraries through collaboration. Its Research Division works with the community to identify problems and opportunities, prototype and test solutions, and share findings through publications, presentations and professional interactions. Several key stakeholder groups have been identified: end users, particularly historical researchers, students & educators; data providers, including RLUK and the libraries & archives that contribute data to the services; the developer community; the library community; the archival sector and more broadly, the cultural heritage sector. Copac and the Archives Hub services are heavily used by historical researchers and educators. Copac is one of JISC’s most heavily used services, averaging around one million sessions per month. Around 48% of HE research usage can be attributed historical research. Both services can directly engage relevant end users, and have done so successfully in the past to conduct market research or solicit feedback on service developments. In addition, channels such as twitter can be used to reach end users, particularly the digital humanities community. Through the Copac and Archives Hub Steering Committees we have the means to consult with a wide range of representatives from the library and archival sectors. The project partners have well- established links with stakeholders such as RLUK, SCONUL, and the UK Archives Discovery Network, which represents all the key UK archives networks including The National Archives and the Scottish Archives Networks. The Archives Hub delivers training and support to the UK archives community, and can effectively engage its contributors through workshops, fora, and social media. OCLC’s community engagement channels will also provide a valuable means of sharing project outputs for feedback internationally. The key project partners are also engaged in the Resource Discovery Taskforce Vision implementation planning, as well as the JISC/SCONUL Shared Services Proposal. Outputs from this project will be shared in both these contexts. In addition, we will proactively share information with bodies such as the MLA, Collections Trust and Culture24. As a JISC innovation support centre, UKOLN is uniquely placed to engage the developer community through initiatives such as the DevCSI programme, which is aimed at helping developers in HE to realise their full potential by creating the conditions for them to be able to learn, to network effectively, to share ideas and to collaborate. The primary channel for disseminating the project outputs will be the UKOLN hosted blog. End users will be primarily engaged for survey feedback via the Copac and Archives Hub services. Social media will be used to reach subject groups with active online communities (e.g. Digital Humanities). Information aimed at the library and archival community, including data providers, will be disseminated through reports to service Steering Group meetings, UKAD meetings, the Resource Discovery Taskforce Vision group, the JISC/SCONUL Shared Services Proposal Group, as well as professional listservs. Conference presentations and demonstrations will be proposed for events such as ILI, Online Information, and JISC conferences. An article will be written for Ariadne. The developer community will be engaged primarily through the project blog, twitter, developer events & the Linked Data competition. The project will be managed according to JISC guidelines for intellectual property. Any custom-built prototype outputs will be made available under open-source license free of charge to the UK HE and FE community. There may be some rights restrictions relating to the Copac and Hub data content due to data licensing issues. These will be explored and addressed as part of the project. Project is over-ambitious 2 2 4 The project plan will ensure that deliverables are delivered in a timely fashion and the project does not divert from agreed goals. Failure to disseminate best practices effectively 2 2 4 UKOLN has very effective dissemination channels. The involvement of partners who can gain clear benefits from this work will allow them to be involved in dissemination activities. Project partners fail to work effectively 1 3 3 UKOLN has good links with all the partners, many through previous joint projects and recent consultancy work. A consortium agreement with address potential concerns. LOCAH will be evaluated by a number of means including qualitative and quantitative methods, and will look at both the tangible and intangible outputs of the project. We will regularly check progress against the project plan and requirements, and we will engage with users through the blog, social media, questionnaires and events. The project manager will lead the evaluation, liaising with relevant parties and drawing on contacts within the JISC community and wider HE community. Several members of the project team are closely involved with current Linked Data activities, and are fully aware of the current ‘state of the art’ against which the impact of the project will be evaluated. The immediate impact of the project will be to provide two new enriched and quality assured data sets to the UK HE and global data graph. It will also provide a prototype that highlights the potential of Linked Data for enhancing learning, teaching and research. The long-term impact will be to help Linked Data gain traction and achieve a critical mass in the UK HE community, as well as providing invaluable experience and insight on a range of issues. Mimas intends to sustain the Linked Data sets, and will ensure that the resources have stable URIs for two years beyond the life of the project. The project may be able to transition to using the Talis Connected Commons scheme if the licensing situation can be clarified. This would then provide long-term sustainability for the data publishing. High quality research and teaching relies partly on access to a broad range of resources. Archive and library materials inform and enhance knowledge and are central to the JISC strategy. JISC invests in bibliographic and archival metadata services to enable discovery of, and access to, those materials, and we know the research, teaching and learning communities value those services. As articulated in the Resource Discovery Taskforce Vision, that value could be increased if the data can be made to “work harder”, to be used in different ways and repurposed in different contexts. 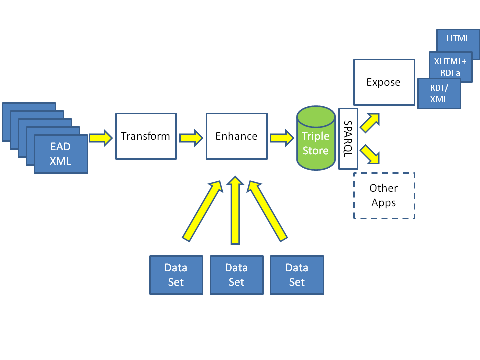 Providing bibliographic and archive data as Linked Data creates links with other data sources, and allows the development of new channels into the data. Researchers are more likely to discover sources that may materially affect their research outcomes, and the ‘hidden’ collections of archives and special collections are more likely to be exposed and used. Archive data is by its nature incomplete and often sources are hidden and little known. User studies and log analyses indicate that Archives Hub1 users frequently search laterally through the descriptions; this gives them a way to make serendipitous discoveries. Linked data is a way of vastly expanding the benefits of lateral search, helping users discover contextually related materials. Creating links between archival collections and other sources is crucial – archives relating to the same people, organisations, places and subjects are often widely dispersed. By bringing these together intellectually, new discoveries can be made about the life and work of an individual or the circumstances surrounding important historical events. New connections, new relationships, new ideas about our history and society. Put this together with other data sources, such as special collections, multimedia repositories and geographic information systems, and the opportunities for discovery are significantly increased. 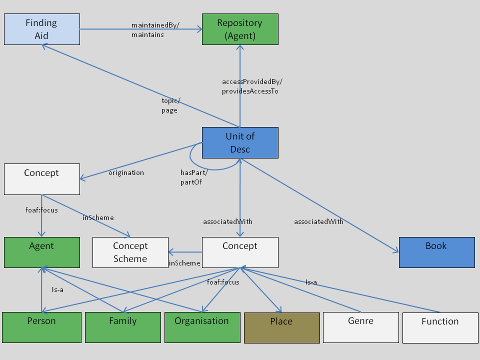 Similarly, by making Copac bibliographic data available as Linked Data we can increase the opportunities for developers to provide contextual links to primary and secondary source material held within the UK’s research libraries and an increasing number of specialist libraries, including the British Museum, the National Trust, and the Royal Society. 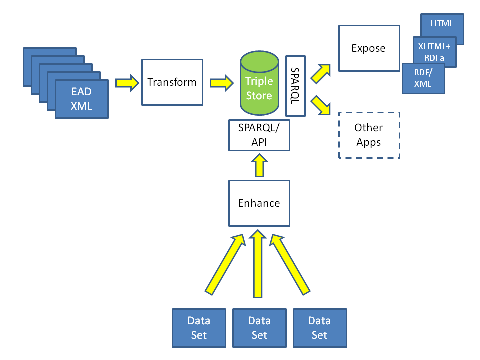 The provision of library and special collections content as Linked Data will allow developers to build interfaces to link contextually related historical sources that may have been curated and described using differing methodologies. 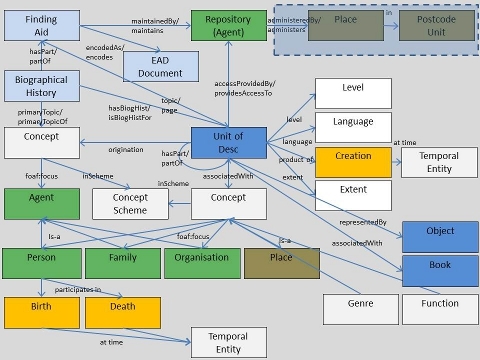 The differences in these methodologies and the emerging standards for description and access have resulted in distinct challenges in providing meaningful cross-searching and interlinking of this related content – a Linked Data approach offers potential to overcome that significant hurdle. Researchers and teachers will have the ability to repurpose data for their own specific use. Linked Data provides flexibility for people to create their own pathways through Archives Hub and Copac data alongside other data sources. Developers will be able to provide applications and visualisations tailored to the needs of researchers, learning environments, institutional and project goals. 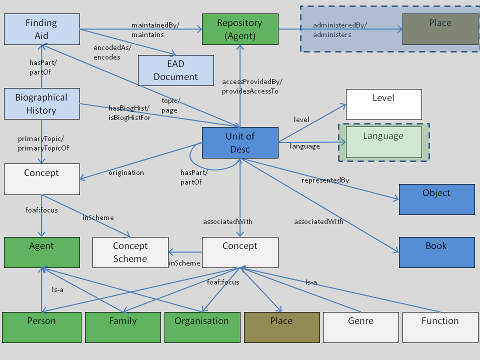 Archives are described hierarchically, and this presents challenges for the output of Linked Data. In addition, descriptions are a combination of structured data and semi-structured data. As part of this project, we will explore the challenges in working with semi-structured data, which can potentially provide a very rich source of information. The biographical histories for creators of archives may provide unique information that has been based on the archival source. Extracting event-based data from this can really open up the potential of the archival description to be so much more than the representation of an archive collection. It becomes a much more multi-faceted resource, providing data about people, organisations, places and events. 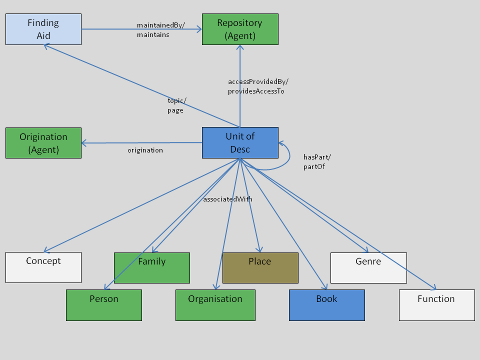 The library community is beginning to explore the potential of Linked Data. The Swedish and Hungarian National Libraries have exposed their catalogues as Linked Data, the Library of Congress has exposed subject authority data (LCSH), and OCLC is now involved in making the Virtual International Authority File (VIAF) available in this way. By treating the entities (people, places, concepts etc) referred to in bibliographic data as resources in their own right, links can be made to other data referring to those same resources. Those other sources can be used to enrich the presentation of bibliographic data, and the bibliographic data can be used in conjunction with other data sources to create new applications. Copac is the largest union catalogue of bibliographic data in the UK, and one of the largest in the world, and its exposure as Linked Data can provide a rich data source, of particular value to the research, learning and teaching communities. In answering the call, we will be able to report on the challenges of the project, and how we have approached them. This will be of benefit to all institutions with bibliographic and archival data looking to maximise its potential. We are very well placed within the research and teaching communities to share our experiences and findings. explain how integration of RDFa within a content management system such as Drupal can enrich semantic content – and in some cases help significantly boost search engine ranking.